The most north-western state in the USA and most western point in all of North America, Alaska is filled with natural beauty. So much so that it is an outdoor lover’s dream, what with its wildlife, snowy peaks, 54,720 kilometres of coastline, fjords and waterfalls. Alaska is extremely diverse, with various terrain at various elevations. It is home to over one million lakes; 3,197 of which are natural lakes. Alaska’s lakes vary in size and elevation, with the lowest being at sea level and the highest being located at over 1,000 metres above sea level. 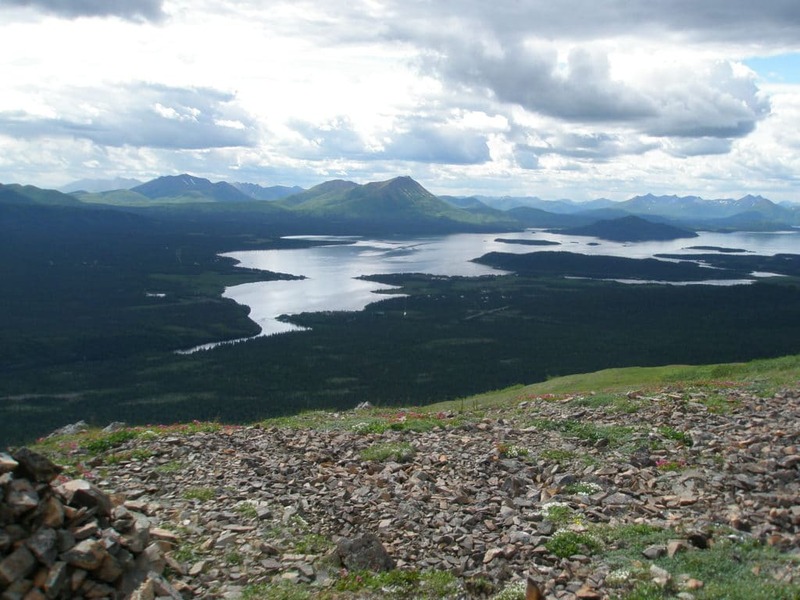 Here is a list of the 15 best lakes in Alaska. Located within the Lake Clark National Park and Preserve, Lake Clark is one of Alaska’s true gems and a famous spot for taking pictures. In fact, over 22,000 visitors come to the lake each year to admire its incredible scenery and wildlife. The national park itself is a major attraction, with the lake being one if its biggest draws. There are no roads to get to the Lake Clark National Park and Preserve, so visitors must organise boat or seaplane transfer to be able to enjoy the magnificent scenery, wildlife and activities offered here. 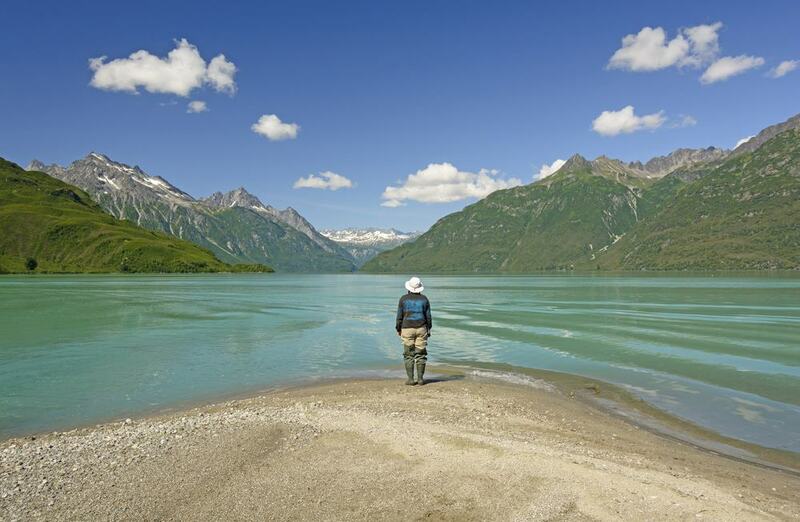 Fishing, canoeing, kayaking and boating are the most popular things to do at Lake Clark, while hiking, bird watching, camping and brown bear viewing are enjoyed around the lake. Visit in the winter and you’ll be able to go biking right on top of Lake Clark with a fat tire bike. This large zig-zag shaped lake sits in south Alaska in the Chugach National Forest. 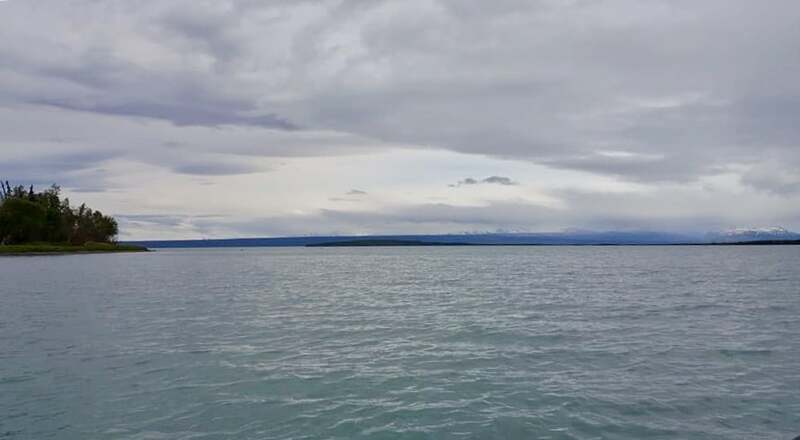 Kenai lake is a popular destination for recreational activities, some of which can be enjoyed on the lake itself, and others on land surrounding it. Fishing is particularly popular at this 5,590 hectare lake, though many also come to go boating, kayaking and canoeing. There are four camping grounds on the lake’s shoreline, with the smallest having only eight primitive sites, demonstrating to nature lovers the true meaning of camping. Hiking is also extremely popular at Kenai Lake, where there are four different trails that head off in different directions. 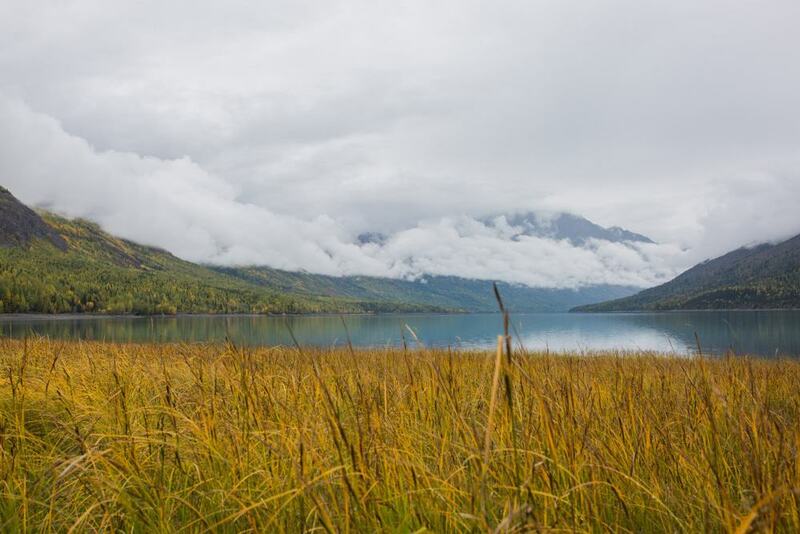 Both the Sterling Highway and the Seward Highway offer access to the lake, as well as magnificent views of it. 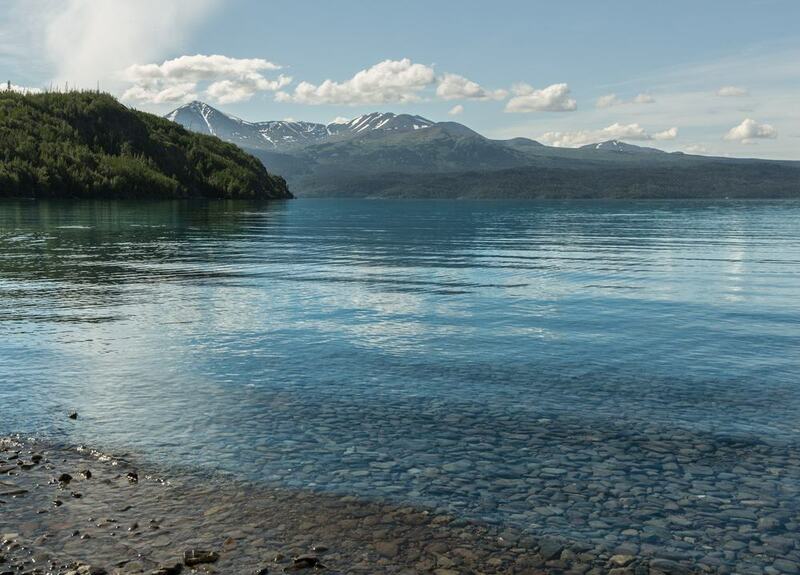 Just west of Kenai Lake is the stunning Skilak Lake, a large natural lake that is fed by melted glacier water, making the water extremely clear. The lake sits within the Kenai National Wildlife Refuge at an elevation of 59 metres above sea level. 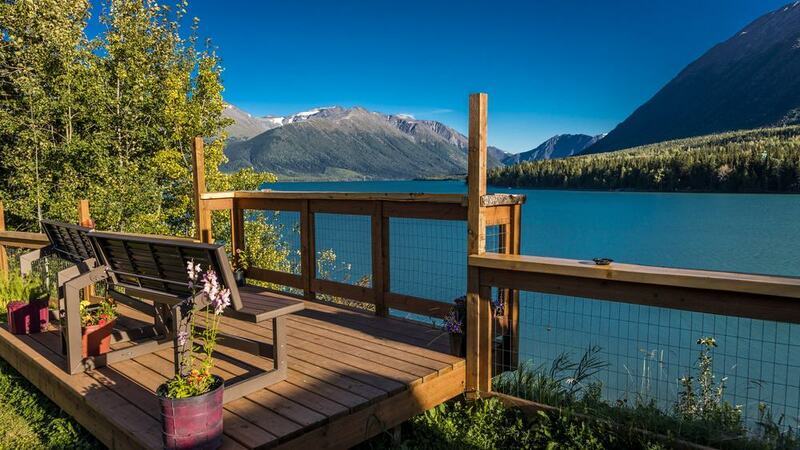 Skilak Lake is accessible by a small road off of Sterling Highway and only 30-minutes away from the city of Soldotna. This road (Skilak Lake Loop Road) is also the starting point for many hiking trails that lead through the wildlife refuge. Locals and tourists visit the lake to go canoeing, kayaking and camping. There are two campgrounds around the lake, one of which is more developed than the other. This spectacularly beautiful lake sits at the end of the 21 kilometre Mendenhall Glacier in the Coast Mountains. It is just north of Alaska’s capital city of Juneau and is part of the Mendenhall Glacier Recreation Area. 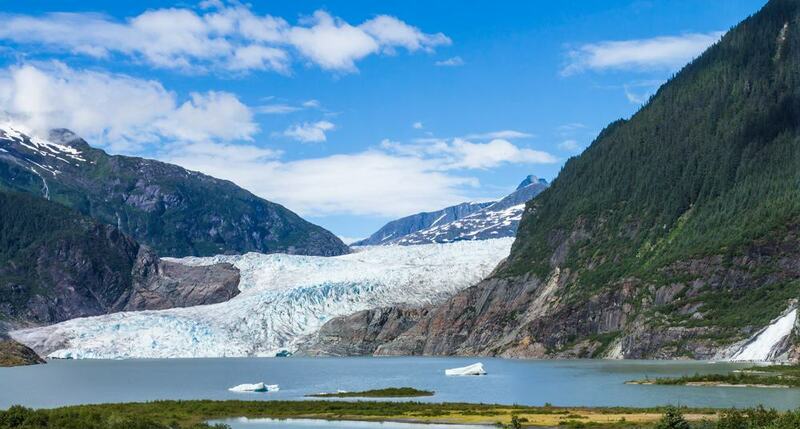 The lake is easily accessible from Juneau via the Glacier Highway and Mendenhall Loop Road, followed by a scenic drive through the Tongass National Forest. There is a visitor centre at the southeast corner of the lake as well as a trail to Nugget Falls. On the southwest corner of the lake is a campground and cabins for rent, as well as the entry point of the West Glacier Trailhead. Canoeing and kayaking can be enjoyed on the lake at times when it is not frozen over, though most people come for the scenery. Wonder Lake sits in the centre of the Denali National Park and Preserve at an elevation of 610 metres above sea level. 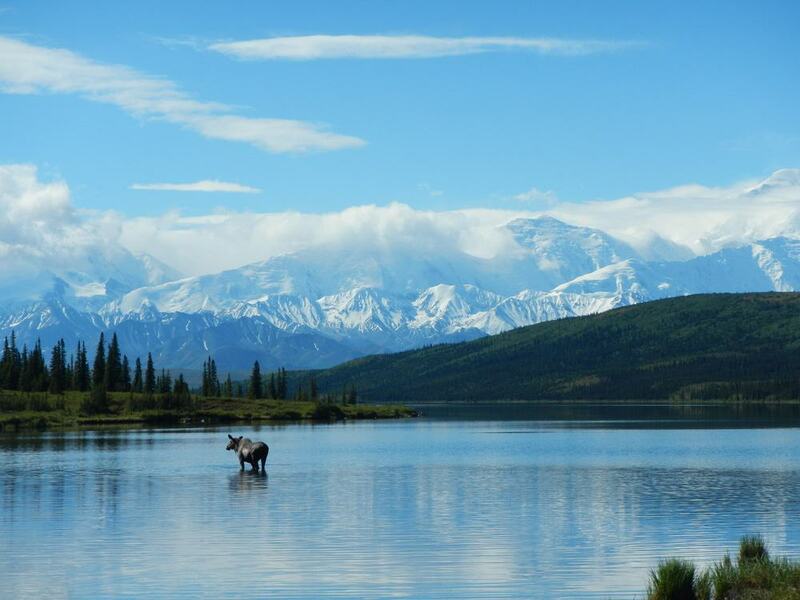 One of the biggest features of the lake is its spectacular view of Denali; the highest peak in all of North America. There is a campground at the very south end of the lake, which also happens to be the closest campground to the mountain. All sites here are tent only and have no electricity, so if you plan on camping overnight be sure to come prepared. 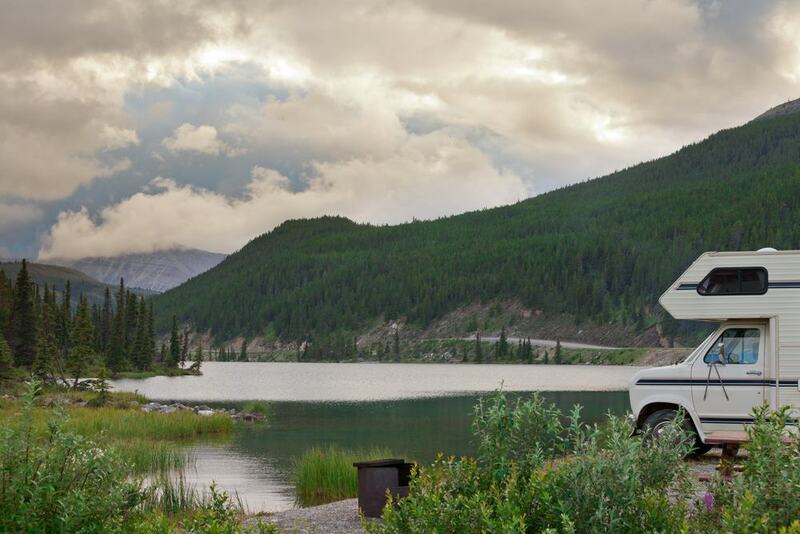 Wonder Lake is are accessible by road, with the drive here being particularly scenic. Note that only designated buses can be make trip; private vehicles must park at the Denali National Park visitor centre. 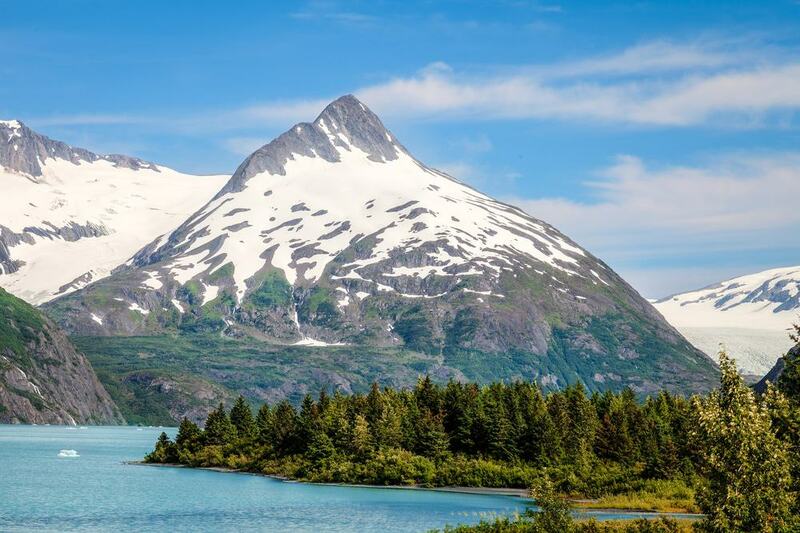 The 35 kilometre drive from the city of Anchorage, through the Chugach State Park and along the east side of Eklutna Lake is one of the most scenic drives imaginable. In warmer months, visitors make the journey along the lake on foot, ATV, mountain bike or horse back. Once here, you’ll have the opportunity to see different plant life at different elevations, as well as go fishing, boating and picnicking. At the very north tip of the lake is a campground that has 50 sites. The lake and camping ground is open all year, with the surrounding scenery changing from one season to the next. If visiting in the winter, Eklutna Lake is accessible by cross-country skiing, snowmobiling or snow shoeing. Portage Lake is a beautiful glacial lake that sits at 180 metres above sea level in a glacial valley within the Chugach National Forest. 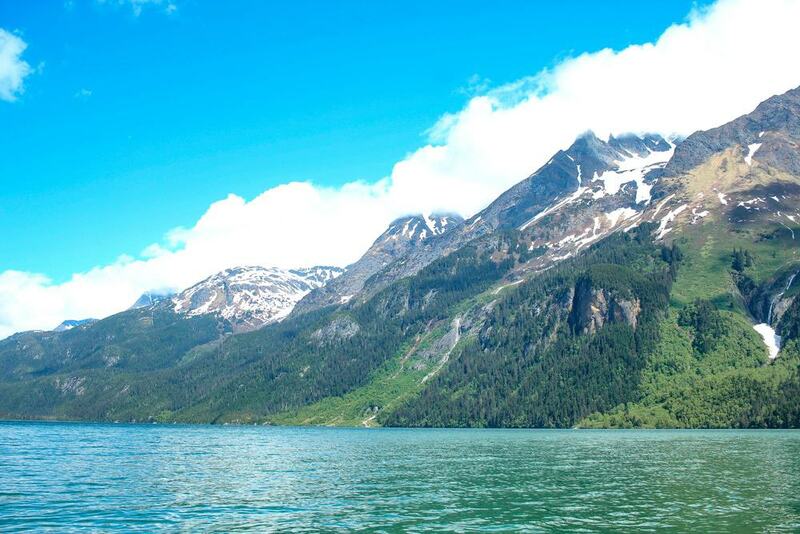 The lake is accessible on the north side via Portage Glacier Road, which is a spectacularly scenic drive. The Byron Glacier Trail Head sits along at the northwest shoreline of the lake, while the Trail of Blue Ice is just west of the Begich Boggs Visitor Center. The Boggs Visitor Center offers visitors information about glacial activity and the Chugach National Forest. The best time of the year to visit Portage Lake is in winter and spring when cross-country skiing, snowshoeing, skating, kite skiing and hiking can be enjoyed. Water activities are dangerous here due to the low temperature and potential glacial activity. 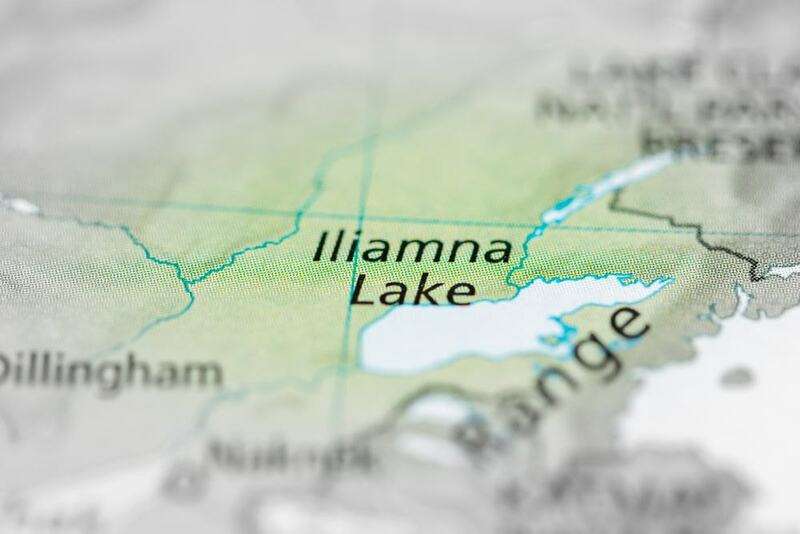 The largest lake in Alaska and second largest freshwater lake in the country, Iliamna Lake is located in the southwest part of the state just west of the Cook Inlet. The lake was named by Tanaina Indians and legend says that it is inhabited by a mythical giant blackfish that bites holes in canoes. The 300,000 hectare lake is home to several islands and there are six villages laying on the shores of it. Tourism is a big part of the economy for the villages, as is fishing, with Iliamna Lake having the largest sockeye salmon run in the world. The Kvichak River links the lake west to Bristol Bay, making it possible to sometimes spot beluga whales and harbour seal in the lake. There is also a large population of freshwater seals living in the lake. Alaska’s second largest lake, Becharof Lake is also one of the largest lakes in the USA. The lake sits on the Alaskan Peninsula within the Becharof National Wildlife Refuge in a very remote part of south-western Alaska. 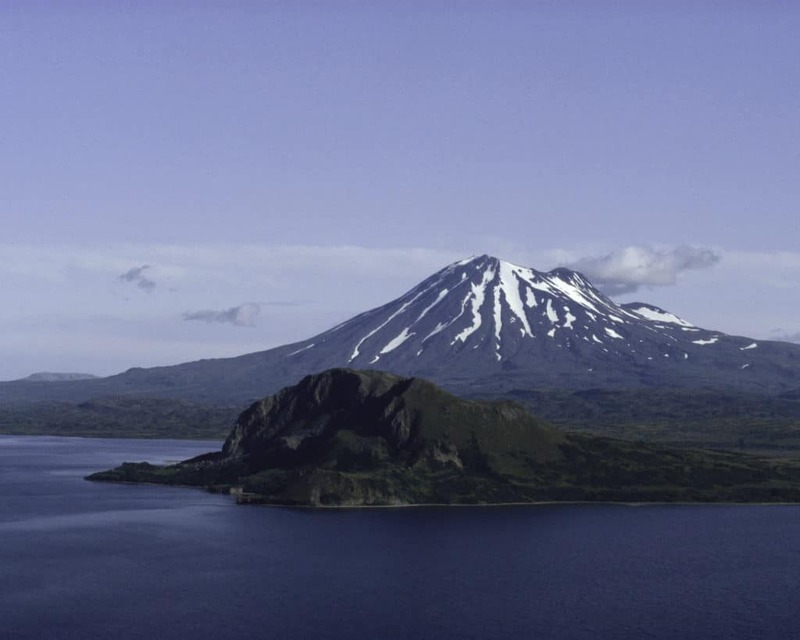 The 117,000 hectare lake offers spectacular views of Mount Peulik, with the lake nestled along the north side of it. It is also a fantastic place to see seals, sea otters and whales. There is no road access to Becharof Lake. Instead, it is accessible by boat or rugged trail, though most arrive by plane from Anchorage. The views of Mt. McGinnis from the north shoreline of Auke Lake is one of the most photographed spots in all of Alaska. Due to its location, the lake’s shoreline is one of ne most developed in the state. Auke Lake is one of the most popular lakes for recreational activities in Alaska, offering swimming, kayaking, canoeing and rowing. Its surroundings is a great place for running, hiking and cycling. There are no campgrounds here, but there are other accommodation options nearby, as well as other amenities, like restaurants and shops. But don’t expect much; it is still a very quiet lake. Sitting at an elevation of 386 metres, Summit Lake is located on Canyon Creek in the Chugach National Forest. The Seward Highway skirts the lake, which not only gives visitors easy access to it, but also provides some magnificent scenery. Tenderfoot Creek Campground sits on the northeast side of the 104 hectare lake, offering 35 primitive sites as well as a boat ramp. Those that would rather stay in more comfortable accommodations while enjoying the lake will enjoy the Summit Lake Lodge, which offers rooms and cabins. In addition to enjoying the scenery, Summit Lake is also a great place for fishing, kayaking and canoeing. There are also plenty of land based activities thanks to the surrounding forest, like hiking, biking and horseback riding. The lovely Aleknagik Lake is located in the southeast park of Alaska, just east of Togiak National Wildlife Refuge, offering a magnificent backdrop. There are no roads around the lake beyond to its one settlement (Aleknagik) that lies on its south shoreline. 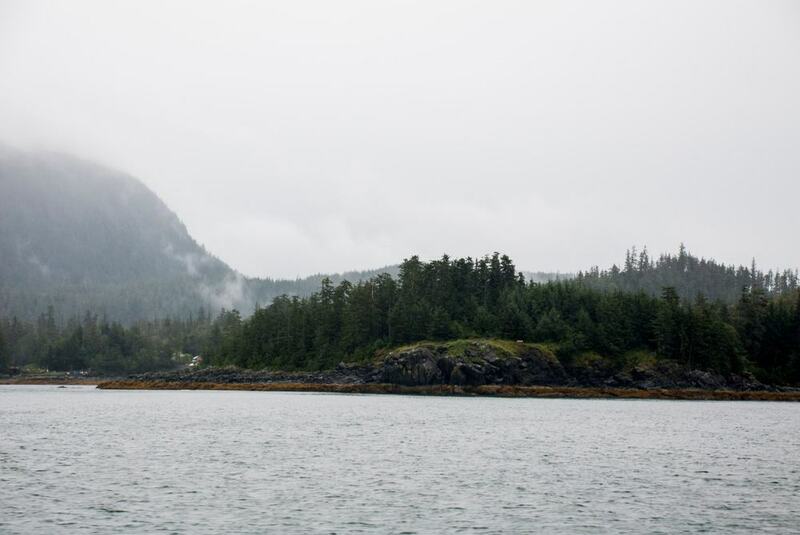 Alaska’s Bearclaw Lodge sits along the north shoreline of the lake and is only accessible by boat from Aleknagik. The lodge is popular for fishing expeditions, especially for those that want to catch sockeye salmon. Outdoor lovers will really love visiting Aleknagik Lake, as it is totally isolated from the rest of the world. While here, you can enjoy viewing wildlife, hiking, mountain climbing, canoeing and kayaking. Part of the Haines State Forest, Chilkoot Lake sits at the very top of the Lutak Inlet in the southeast corner of Alaska. It is a beautiful lake, surrounded by natural beauty and provides visitors with plenty of recreation activities. Chilkoot Lake State Recreation Site is located amidst Sitka trees along the south tip of the lake. The recreation site offers camping, picnic shelters and a boat launch for canoeing, kayaking and boating. Visit the lake in the winter and have the chance to go ice skating right on the lake, which completely freezes over. It is an amazing experience, what with the surrounding snow-covered mountains. This small lake is located right in the city of Anchorage just north of the University of Alaska Anchorage. It is a serene lake and when visiting it you would have no idea that are right in the city. Goose Lake is a great place for swimming in the summer months, though it can get quite crowded with locals wanting to cool off. Paddle boating is also popular, which can be done off of one of its two beaches. There is a 4.8 kilometres trail encircling the lake that as well as being a nice walk, also provides great views of the lake and the university in the background. In the winter, the trail is open for cross-country skiing. The eighth largest lake in the state, at 30,000 hectare Tustumena Lake is the largest lake on the Kenai Peninsula in south-central Alaska. 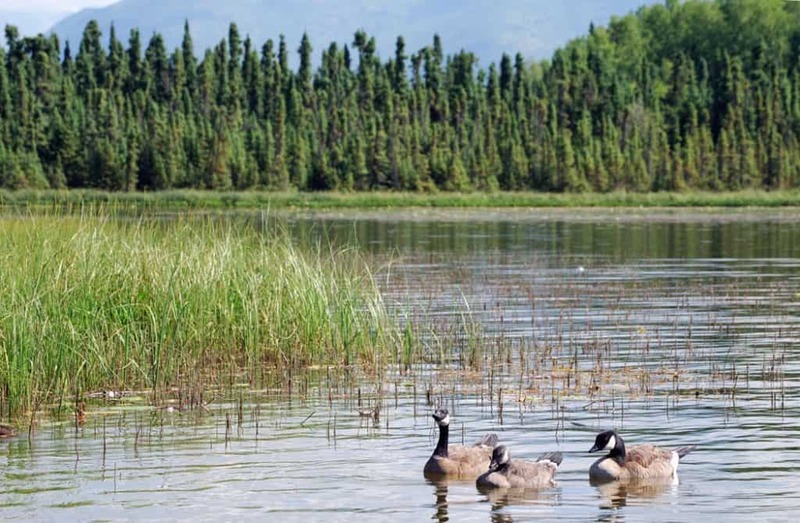 It is a relatively isolated lake that boasts the backdrop of the Kenai National Wildlife Refuge, making it a great spot for a wilderness adventure. Tustumena Lake is extremely clean because its water comes from the Tustumena Glacier and several nearby streams. Photographers, amateur and pro, will love snapping photos of the stunning lake and it surroundings. There is no road access to the lake, which is only accessible by boat, hiking and horseback riding. In the winter, it is a famous spot for dogsledding and hosts the annual Tustumena 200 Sled Dog Race.